Start by selecting a few pastel colours that you like. Then choose one as you base coat. Apply that on all nails, or use different colours if you like. Let your nails dry. 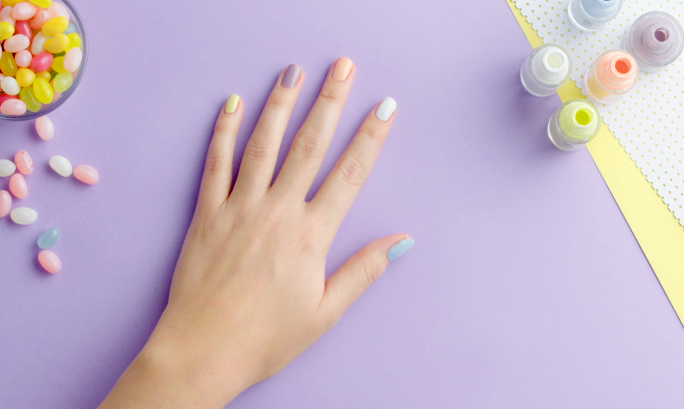 Pour a small amount of each nail polish onto a strip of tin foil. Then take a wooden manicure stick or a toothpick, and dip it into the polish. 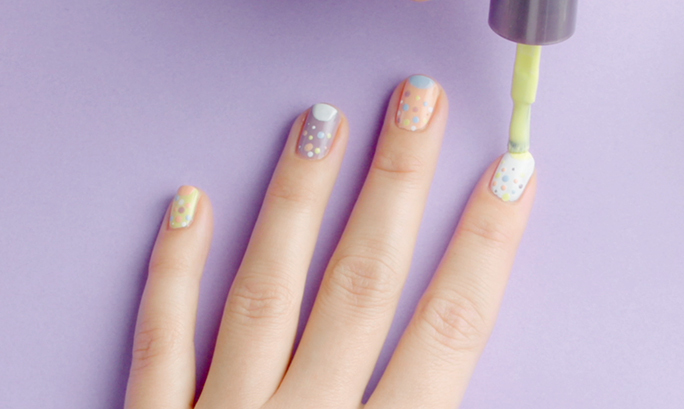 Now, start creating your dots with different contrasting colours. Be creative! 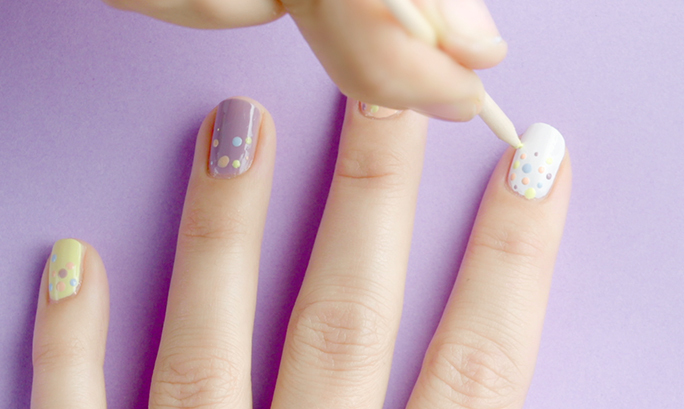 Finally, make a half moon dot at the top of each nail, using a nail polish with a rounded brush. Now leave your nails to dry completely. 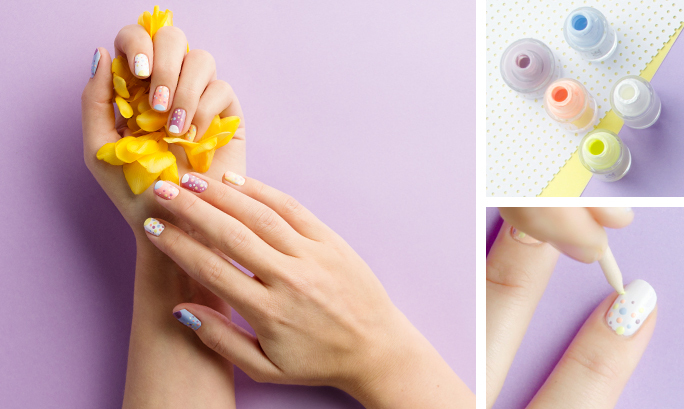 Set the manicure with a transparent top coat and enjoy!